I walk up behind him and blow a bubble. He turns around, grabs my arm, pushes me into an empty room and pushes me against the wall. "Where is it?" he says through gritted teeth.
" Where did you get it?" I say. We are not on best terms right now I guess. "Why would I tell you?" he says. Does he just NOT trust trust me anymore? Fine, two can ply at this game. "Fury gave it to you, why?" I ask. "What&apos;s on it?" he asks. "I don&apos;t know." I say. He slams me against the wall again. "Stop lying." he says, gritting his teeth again. 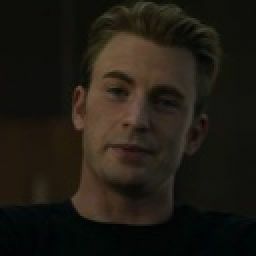 "I only act like I know everything Rogers." "Don&apos;t call me that." he says. "I bet you knew Fury hired the pirates, didn&apos;t you?" "Well, it makes sense. The ship was dirty, Fury needed a way in, so did you." I say, still playing this game. "I&apos;m not gonna ask you again." he says, tightening his grip on me. "I know who killed Fury." I say. When Steve described the shooter, I knew exactly who it was. "Most of the intelligence community doesn&apos;t believe he exists. 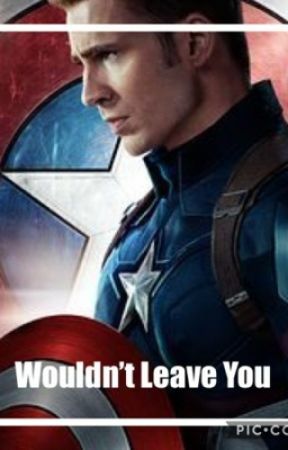 But the ones who do, call him the Winter Soldier. He&apos;s credited with over two dozen assassinations in the last 50 years." I say, fear starting to lace in my voice. "So he&apos;s a ghost story." Steve says, starting to calm down. "Five years ago, when I first joined S.H.I.E.L.D., I was escorting a nuclear engineer out of Iran. Somebody shot out my tires near Odessa. We lost control, went straight over a cliff. I pulled us out. But the Winter Soldier was there. I was covering my engineer so he shot him," I pull up my shirt to show him the scars on my stomach. "right through me." When I show him the older bullet scar, his eyes wander sadly to the other two that now perminatly mark my stomach. "No more rifling, bye-bye bikinis." "Yeah, I bet you look terrible in them now." he says. "Going after him is a dead end. I know, I&apos;ve tried. Like you said," I hold up the flash drive for him to see. "he&apos;s a ghost story." "Well, let&apos;s find out what the ghost wants." Steve says. We started to head out to the hospital. We end up in the mall. "First rule of going on the run. Don&apos;t run, walk." I say, decked out in my undercover sweatshirt and jeans. "If I run in these shoes, they&apos;re gonna fall off." he says as we walk into the Apple Store. We walk up to the newest laptop. "The drive has a Level Six homing program, so as soon as we boot up S.H.I.E.L.D. will know exactly where we are." "How much time will we have?" he asks. "About nine minutes from," I plug in the drive. "Now." I start my hack. "Fury was right about that ship. Somebody&apos;s trying to hide something. This drive is protected by some sort of AI. It keeps rewriting itself to counter my commands." I say, still trying to override the AI. "Can you override it?" Steve asks, very tensely might I add. "The person who developed this is slightly smarter than me. Slightly." I say. "I&apos;m going to try running a tracer. This is a program S.H.I.E.L.D. developed to track hostile malware, so if we can&apos;t read the file, maybe we can find out where it came from." I say, focused on my hacking.